My name is Kaylin and I’m stopping by from Keep it Simple, Sweetie to share one of my absolute favorite cookie recipes with you today – Crunchy Peanut Butter Cookies. If you love peanut butter (and who doesn’t?!) then these little bites of heaven are right up your alley. Now, I know we don’t know each other all that well yet, but I have a confession…. I am actually one of those people who doesn’t love peanut butter. I know, I know, its shocking. Especially since I live in peanut butter loving house. My husband has taken a peanut butter sandwich (that’s right, no jelly…cause that would make it gross) for lunch ever since I’ve known him, and that’s a long time folks. 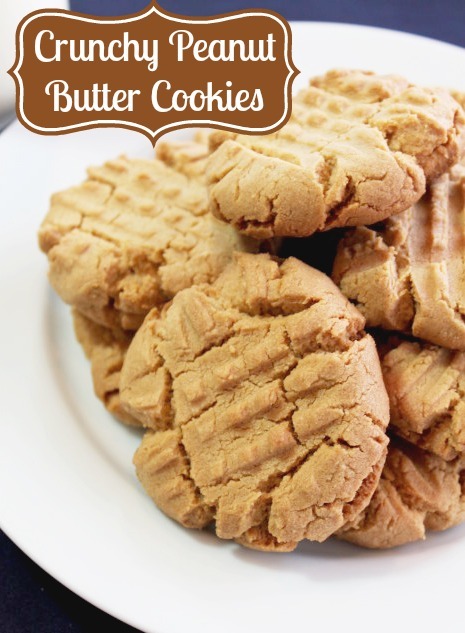 Well, if I don’t love peanut butter, then why the heck am I sharing a peanut butter cookie recipe you ask?! Cause I love these cookies. That’s why. I know it seems strange, but these cookies defy logic as they are just as popular among my non-peanut butter fan friends as they are with my peanut butter loving friends. Don’t believe me? Go ahead and try them….you wont be sorry! Pre heat the oven to 375 degrees. Mix the shortening, peanut butter, sugar, brown sugar and egg until smooth. Sift together the flour, baking soda, baking powder and salt. Gradually add the dry mixture to the wet until combined. Roll dough into 1 inch balls and place a few inches apart on a greased cookie tray. Spray a fork with cooking spray and flatten each cookie with a criss cross pattern. Bake 10-15 minutes until set, but not hard. They will firm up as they cool. For more super simple (super yummy) recipes be sure to visit me at Keep it Simple, Sweetie. Hi! Thanks for stopping by #TheWeekendSocial and linking up! I have pinned your link . I hope to see you again next week! Great recipe! 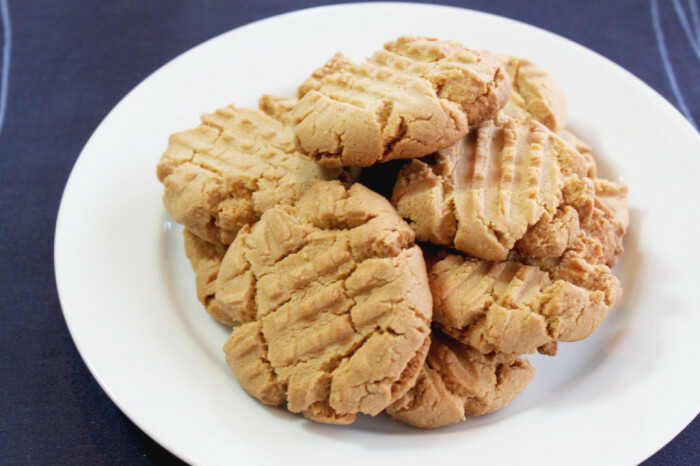 I simply ADORE crunchy peanut butter cookies. Thanks for sharing! Beautiful display! I love cookie recipes that are easy! These cookies look awesome. We love peanut butter in this house, and I love baking with it, too. Pinning for later! G’day! I love peanut butter cookies! YUM! These are one of my favorites to make, thanks for sharing the recipe!